In a world that is over saturated with information, our mission is to return to wisdom. The Amara Muse 200 Yoga Teacher will more than prepare you to lead in an empowered and skillful way. This program will support you in applying ancient principles to your modern life in order to live with a deeper sense of connection, integrity, confidence and purpose. 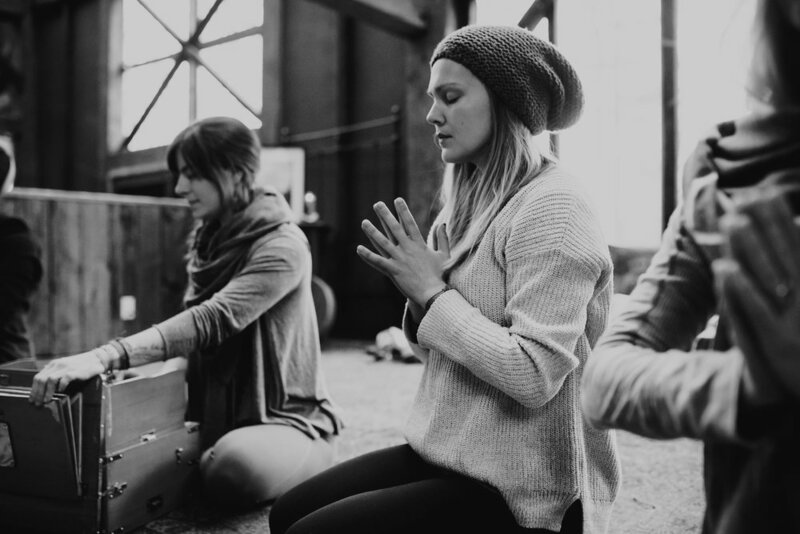 The Immersion is a weekend yoga retreat in a beautiful setting with sacred circle work, singing, hiking, connection and joy! 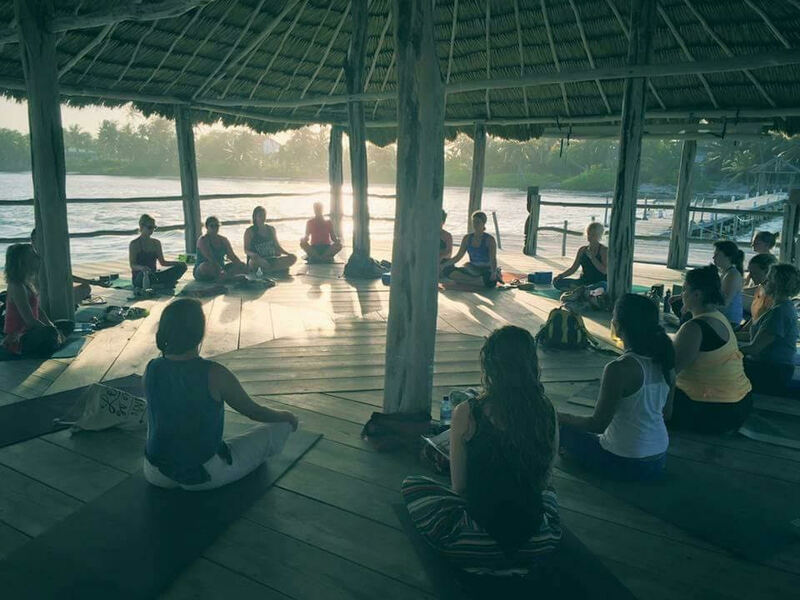 A week long adventure held in high vibration locations around the world that offers yoga, writing, workshops and so much bliss! We are Samantha Jo and Lauren Strait. Amara Muse is our love child. Borne of our deepest desire to support women in living lives full of purpose, success, and bliss - Amara Muse is a power house of service, creativity, and collaboration. The name has Greek roots that hold the meaning 'Eternal Inspiration,' which is what we intend to give and receive, always. Two passionate women aching to live a life of great service to the world. We began this journey as an effort to heal our once damaged and strained friendship with a shared vision of of repairing the wider, collective sisterhood. It all started with a women's retreat to Belize and has continued to expand in ways we never even imagined. Since responding to the whisper we initially heard, the calling has only grown louder and more clear. We are here to support your journey, to aid you in creating a life that you are crazy in love with! You are worthy. You are powerful. The world is eagerly waiting to receive your unique expression. Live an empowered life. Re-claim your magnificence - you deserve it and the world deserves YOU! We are here to help! "The last year and a half has been a journey of self discovery for me. As much self work as I was doing, I didn't feel the inner strength that I knew I was capable of. Lauren and Sam have created a program that is so empowering, so inspiring and completely encompasses the power of the sisterhood. The love and support that I continue to feel from Sam and Lauren is only topped by the love I now have for myself. I am stronger, I am braver and I can honestly say that I am proud to be me. Lauren and Sam create a space where you are able to see and be your best self. I am so grateful." "If you're thinking like you need some healing, some self-love, some up-lifting energy, some positivity, some kind of premium unleaded gas in your tank, search no further! AMARA MUSE is your source." I have never discovered myself more deeply than when I had the beautiful opportunity to be exposed in Belize. It was the most beautiful journey I have been on - it pushed me to face my past, be comfortable in the complicated moment of the present, and dare to dream of a beautiful future beyond what my capabilities limited me to before. I have taken the words of inspiration I received in Belize, and applied it to my personal life. The empowerment that Amara Muse gives to women can inspire them to travel the world by themselves, and not have an ounce of fear that would hold them back. 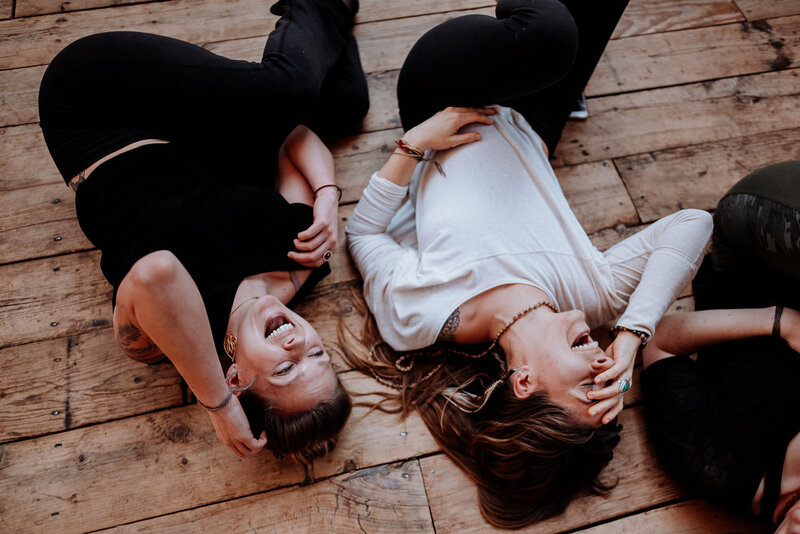 Samantha and Lauren have a way with words, and a way with movement, that breaks through the barriers of fear, and soaks deep into the powerful movement of love. Amara Muse is a living, breathing, evolving entity, multi-faceted in its approach to facilitate healing and empowerment for women. Sign up with your e-mail address to receive weekly morsels of inspiration from us!